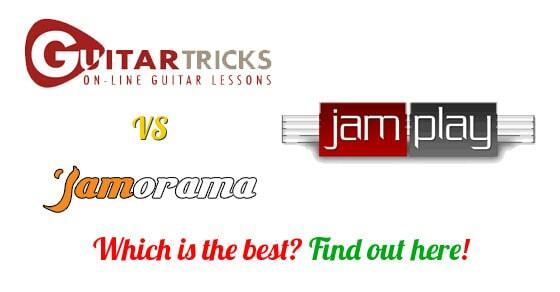 Jamplay vs Guitar Tricks vs Jamorama; which is the best? If you’re not sure which online guitar lessons to choose, you’re in luck. This guide can help you decide. There’s been much debate about which the top online guitar lessons are. You’ve seen people promoting their own service, you’ve seen fake reviews with people who clearly have never used any of these services before. Now, here’s an honest unbiased review of all three. I’m sure you’ve wondered what these guitar lessons look like once you’ve entered their members areas? 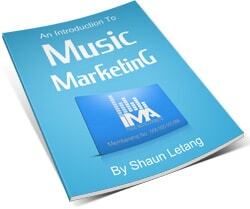 And how they can help you in your quest to master the guitar? Well, this is what I’ll show you today. On this page you’ll not only find reviews of three of the biggest and best online guitar courses, but I’ve recorded videos showing you exactly what you get in each. No longer will you have to go in blind; by watching all these videos you’ll have a much better feel for what you’ll get. I’ve also included a transcript of each video for ease of following along, so I hope you find this page useful. If it is, please share (socially / on forums / on your own website) with other guitarists looking to compare online guitar lessons. See the transcript for this Guitar Tricks review. Have a look at the JamPlay review transcript. Prefer text? Read the Jamorama review here. So there you go, a review of Guitar Tricks vs Jamplay vs Jamorama. I hope these three videos will better help you decide which guitar lessons are best for you. Still need extra help deciding? Well I’ve created a quick questionnaire which will help you compare these guitar courses and help you choose which you should go with.